When you say traditional design what comes to mind are elegance, exquisite beauty and a certain charm that attracts attention. 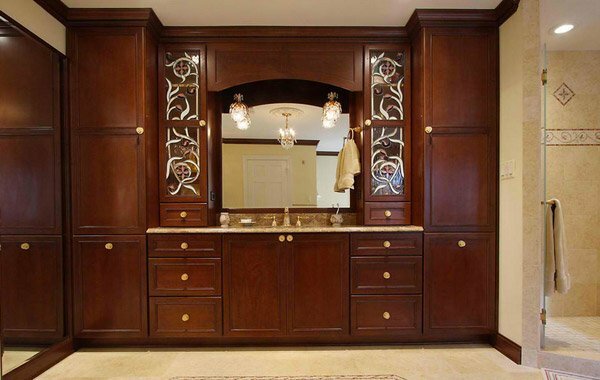 Traditional tall bathroom cabinets also have its own charm, elegance, beauty and sophistication. 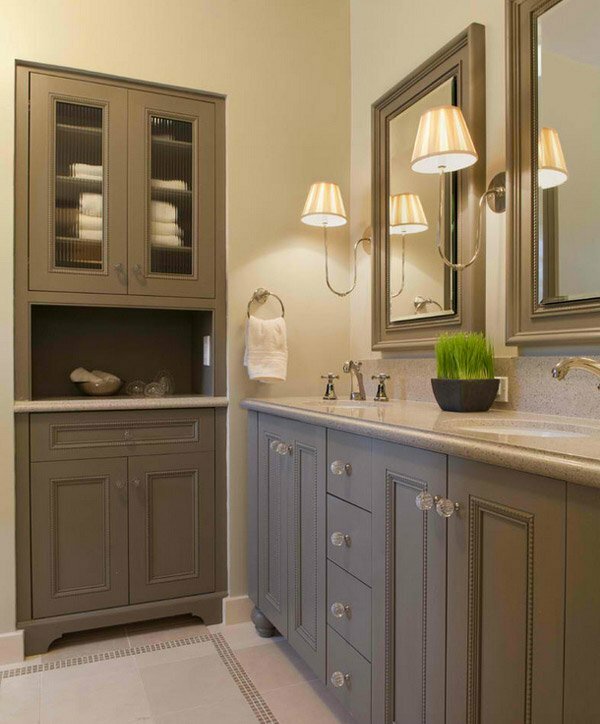 Tall bath cabinets are an advantage in a bathroom, since they are a great area to store important items and bathroom vanity items. They also save space, especially in a bathroom where we usually lounge, relax or have long relaxing showers. Traditional bathroom vanities have a sense of sophistication that cannot be found in modern ideas, since they are statelier and a bit more expensive. The materials used are wood, that is also polished and lasts long. 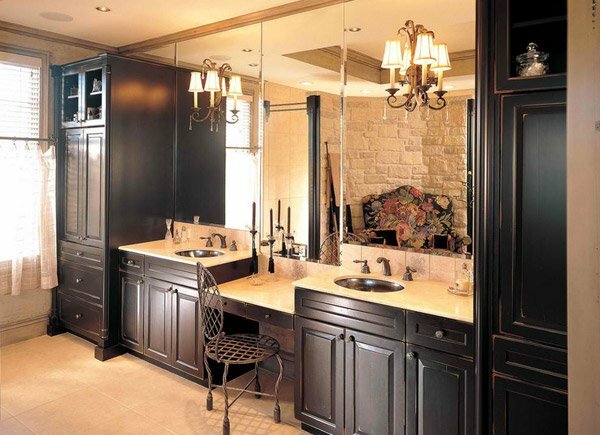 For today’s article, we are featuring 15 Traditional Tall Bathroom Cabinets Designs. These cabinets can be used to hide plumbing and wires in a bathroom since they need to be very well hidden. They also provide less clutter to a bathroom interior. 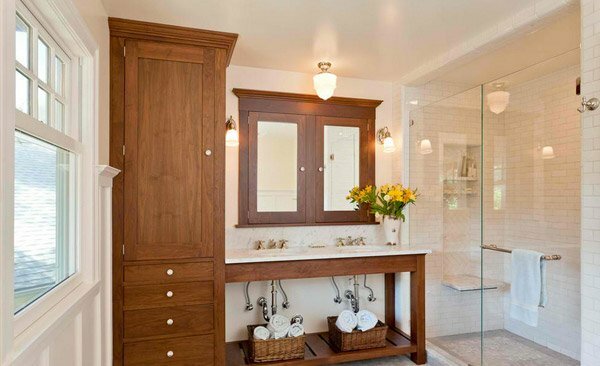 Below are elegant traditional tall bathroom cabinets for your inspiration. They come in different style and form that would suit your interior needs. This traditional classic bathroom cabinet will surely add storage space to your bathroom as well as charm and beauty to the interior design. 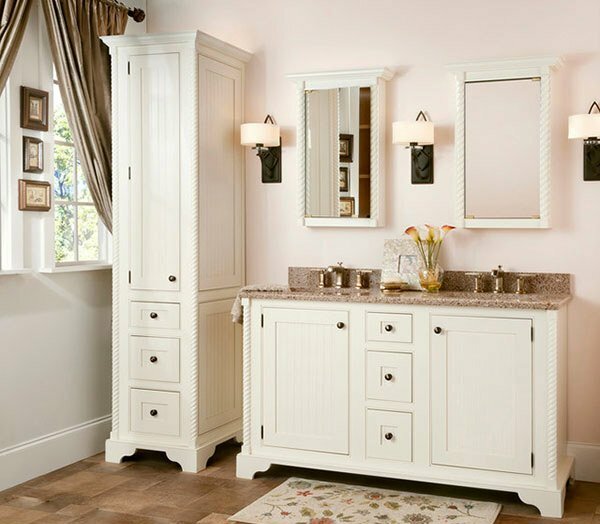 The elegant cream-colored vanity is just divine especially with the additional tall cabinet for extra storage space. 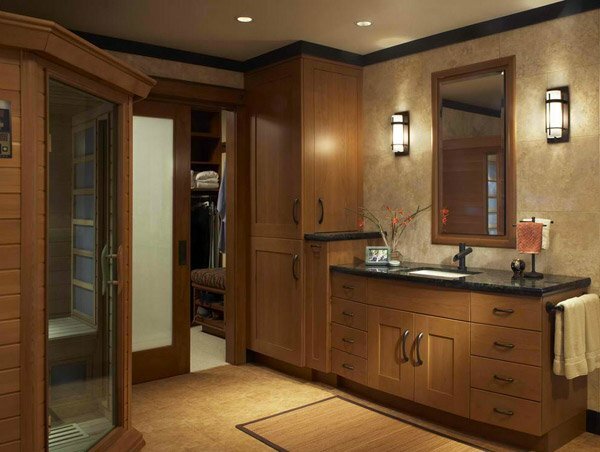 This master bath for this beautiful home is just relaxing especially with the warm color of the vanity with a tall cabinet for storing towels. This tall bathroom cabinet beside the small sink makes the sink look even tinier while still maintaining an elegant feel to the bathroom design. They are a perfect combination to maintain elegance and simplicity. This awesome bathroom cabinet design adds charm to the bathroom especially accentuated with its color and traditional design. 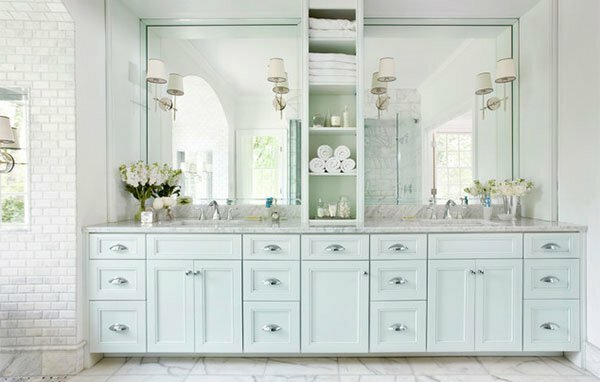 Immaculate and clean tall linen cabinets add certain elegance to a bathroom especially when attached to the vanity for added glamour while maintaining simplicity. A unique three-door tall bathroom cabinet with a rustic edge for added warmth to the bathroom design. These tall cabinets are also a great way to hide plumbing and wiring. 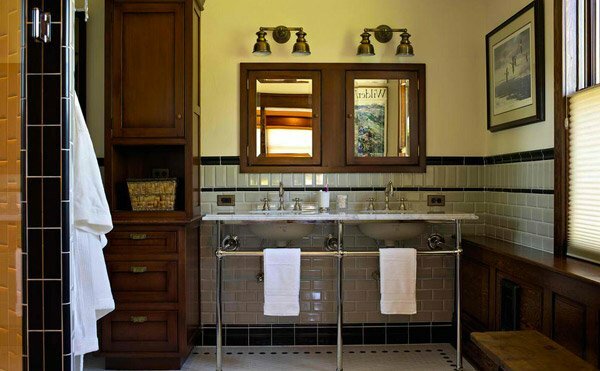 Dark wood vanity cabinets that add elegance, warmth and charm to this bathroom. They can also be a perfect place for storing important valuables and needed bathroom vanity items. 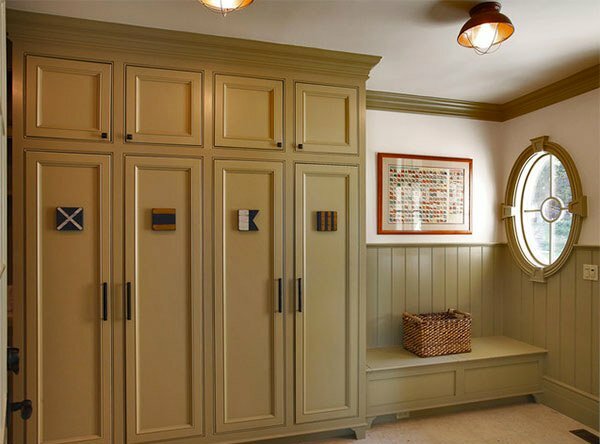 Country Club Homes These are wooden lockers for a bathroom which can surely offer ample storage spaces. 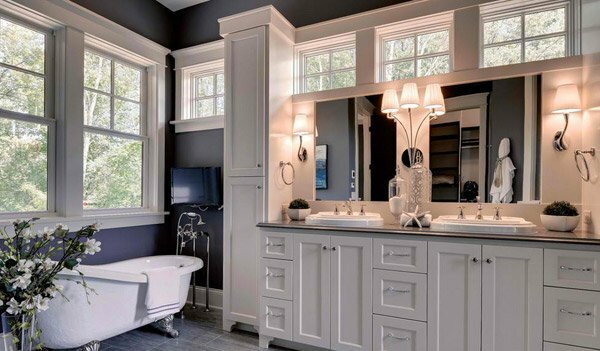 An elegant bathroom with a traditional vanity set that is simple and has a clean feel. 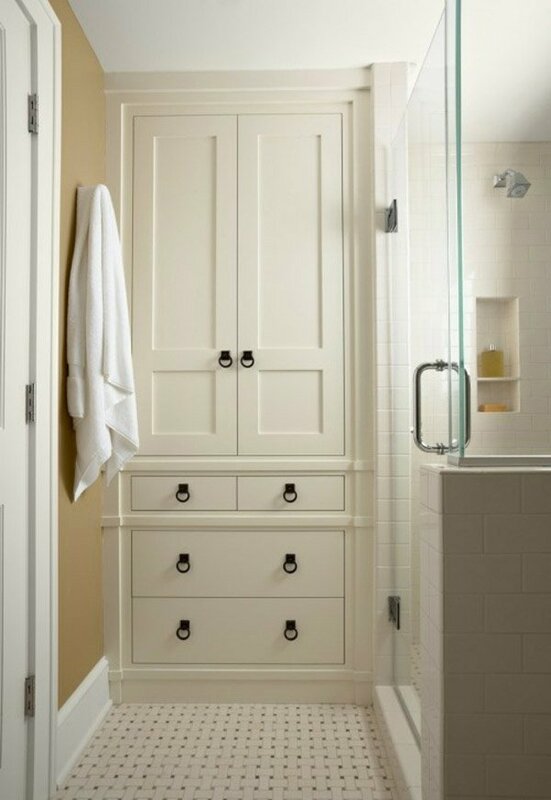 The tall bath cabinet is an awesome addition for storage and in hiding unwanted plumbing visibility. 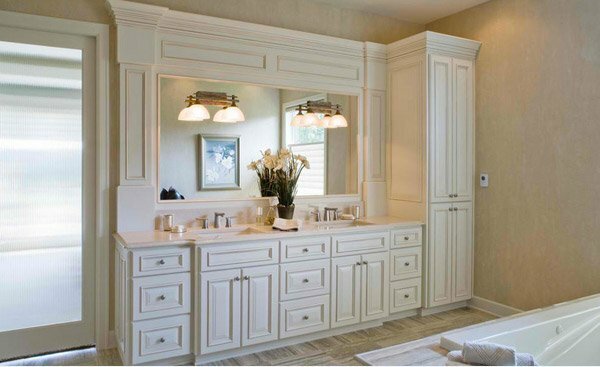 This twin tall cabinets on the vanity eliminates the need for a linen cabinet since they can be utilized and gives the bathroom additional free space for added breathing area. 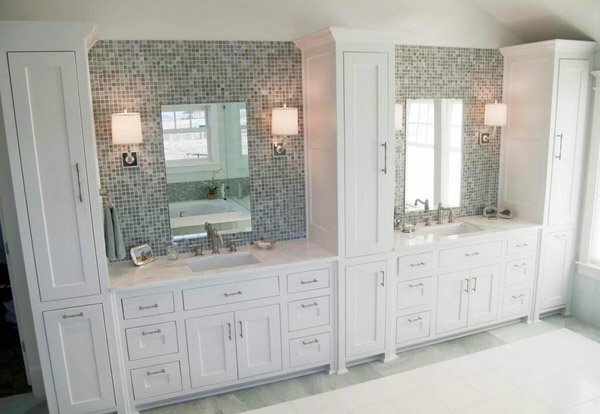 These elegant tall bathroom cabinets give a clean and refreshing feel to the interior bath design. The perk of this tall bath cabinet is that it is a great space saver for a small bathroom interior, a great and elegant choice and design that fits perfectly well. 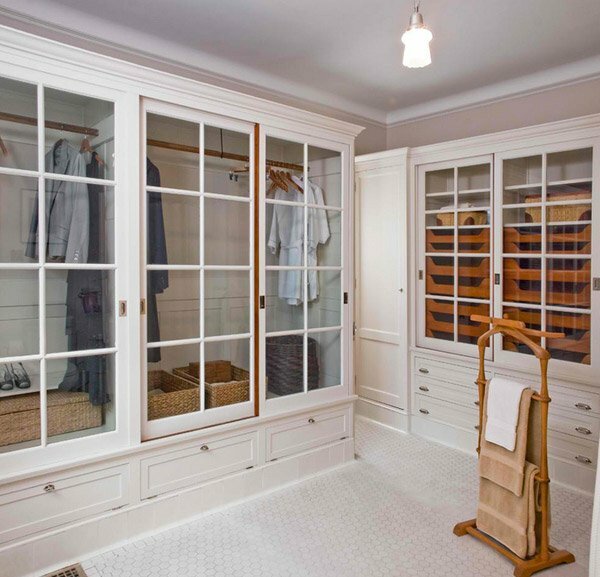 This wall closet has elegant sliding glass doors. It is spacious and is a great way to store bathroom items. 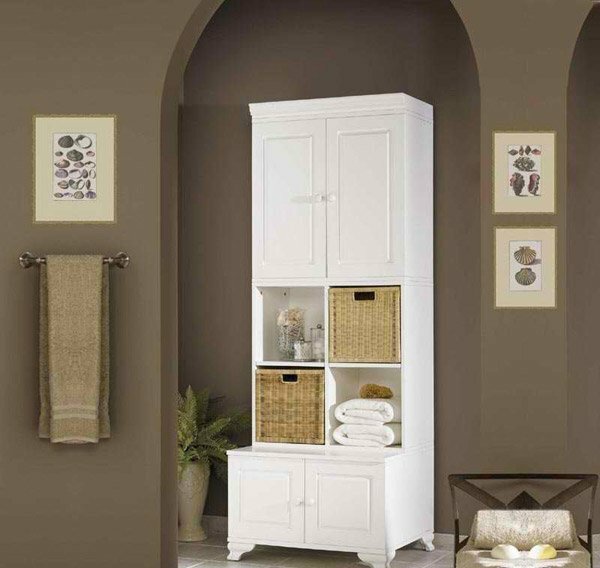 This beautiful traditional white tall cabinet is an interesting addition to the bathroom interior. It gives a stately and elegant charm to the interior design while it stores important vanity items as well. As you have observed above, those tall cabinets are not only useful for storage, they are eye-catching as well. The charm they brought to a bath interior is undeniable. They are not just useful but they are also very elegant. You can see that through the bathroom set ups that you can see in this round-up. You can also check on bathroom storage ideas if you are currently in search for ways on how you can store your bathroom stuffs.